Editor’s note: A recent reddit post — this one to be exact — really stuck with me. The author is an Irishman who’s looking to get into baseball and, not knowing where to start, he asked for help. 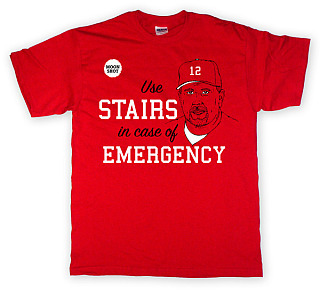 Well, this week at Infield Fly, we aim to help everybody’s who’s just getting into the game. If you’re a new fan, if you’re interested in becoming a fan or if you know somebody who think would love the game and you want to point them our way, hopefully this week will have something for you. We plan to cover the how and the why for new fans. Read the first instalment, a basic stats primer, here. The second instalment, a quick guide on how to get the most out of watching the game, is here. The third piece, a new fan’s perspective on why the game is great, can be found here. What’s the difference between Roy Halladay and Mats Sundin? At the top of their professions, both guys were stuck on mediocre Toronto-based teams. Both guys were coveted by basically every team in their leagues. Both guys had no-trade clauses. Both guys seemingly wanted to finish their careers in Toronto. Both guys were subjects of hysterical trade rumours. Neither guy wanted any part of the media circus. And now, with the latest out of Doc’s camp, neither player is willing to be a rental during the last year of their contract. If you can believe Doc’s agent, Halladay will approve a trade during the off-season. But if he starts spring training as a Blue Jay, he’ll end the season as a Blue Jay. That, as ESPN’s Buster Olney says in the link above, means the Jays will only get two draft picks in compensation instead of whatever haul a trade would bring in. He also says it’s now “less than 50-50” that a trade will happen in the off-season because Doc’s contract expires after 2010. Guess he hasn’t heard that the Jays are allowing a window for potential trade partners to negotiate an extension. Personally, I hope Anthopoulos gets a deal done ASAP. Doc will get a chance to win and the Jays will get something more than draft picks in return. I’ll miss Doc, and it would be cool to see him carve up Toronto’s opponents for one more year, but he deserves better than the idiocy Sundin had to deal with during his last year in Toronto. • Griffin sets the record straight on what went down last season in regards to Doc and how Ricciardi didn’t botch the trade talks. • No surprise here, but A.J. wants his bestest bud in the whole world to join him in New York. • Think this Halladay situation is bad? Imagine you’re a Twins fan. Not only is Mauer arguably the most valuable player in all of baseball, he’s from the Twin Cities. 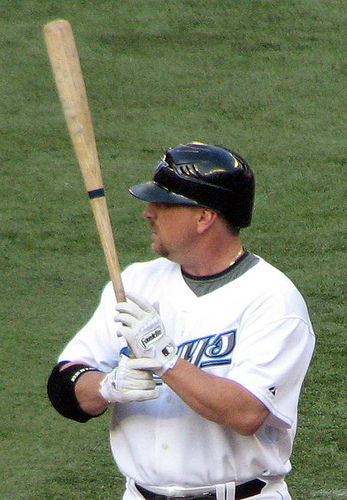 • Matt Stairs now has a street named after him in his hometown of Fredericton, N.B. The street is right outside Royals Field, where Stairs got his start with the Fredericton Royals of the New Brunswick Senior Baseball League. • As Bud Selig gets ready to step down, Federal Baseball says good riddance. And they’re right. The way he treated the Expos was disgraceful.